It is easy to assume that all inverters drives offer similar functionality, but this is not the case. Mitsubishi FR-F800 Series inverter drives are smarter than ever in their ability to protect themselves and connected equipment. 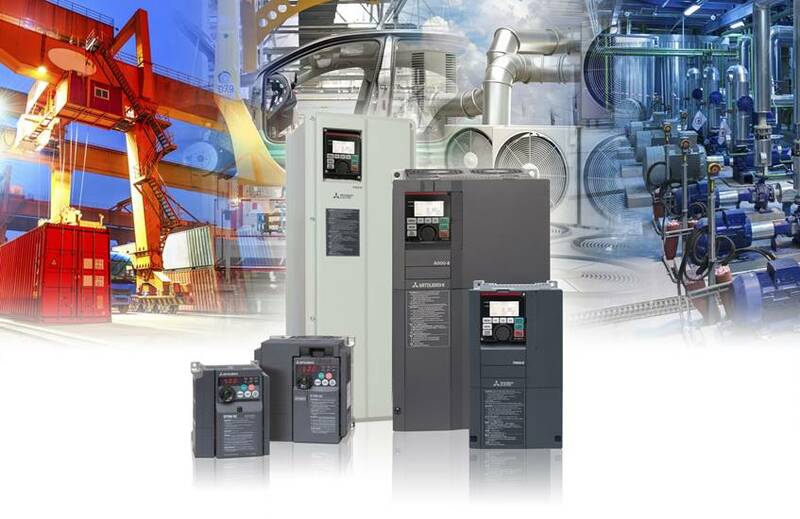 Variable speed drives (VSDs) control and track motor current and output torque. This enables them to providing early warnings of impending problems with rotating plant equipment and protect machinery. However, the F-800 Series VSDs take this to a new level by minimising both scheduled and unscheduled downtime. Going beyond routine fault codes current technology offers significant advances in plant monitoring and diagnostics. It takes uncertainty out of maintenance, making unscheduled downtime a thing of the past and protect equipment. Moreover, they support moving from a regime of preventative maintenance to one of more cost-effective predictive maintenance. The intelligent functionality of modern VSDs provides all the tools required to reduce unplanned downtime. They detect problems in bearings, motors, pumps, fans and conveyors as well as drives themselves before they cause a failure. Error codes give meaningful troubleshooting information, so engineers no longer have go running for manuals to diagnose and rectify faults. With early warnings of impending failure and pro- active requests for servicing, engineering teams can make informed decisions about when to schedule any necessary maintenance. In fan and pump applications, the relationship between speed and torque can be indicative of impending problems. These characteristics start to trend away from the norm due to wear as a component approaches the end of its service life. By defining upper and lower parameters for motor output current and the maintenance team will receive timely warnings of wear. Different levels of monitoring and alarms can be defined to meet individual requirements, with local display on the drive itself or an HMI, or remote monitoring over a network. It can also reveal problems such as blocked filters and pipes. Again, warnings about issues before they impact on efficiency of operation gives engineers the best possible opportunity to schedule maintenance at the most convenient time. The Mitsubishi Electric FR-F800 drives use sophisticated algorithms to check fan efficiency, pump curves and performance, offering dedicated diagnostics functions. Their cleaning function (de-ragging) provides timely warning of the build-up of dirt and foreign matter on the impellers of fans and pumps. By setting its program, the drive can automatically run a repeating forward/reverse rotation to solve the problem. If the problem isn’t cleared, the drive triggers an alarm to alert the maintenance team. The Smart Condition Monitoring (SCM) technology in F-800-E drive indicates the application’s health using a traffic-light indicator. In the event of deteriorating of operating conditions, the system will display practical recommended measures to take locally via clear text messages or by forwarding them to higher-level systems. This means that maintenance personnel do not need special experience or diagnostics expertise to identify and resolve faults. Finally, the components used in the drives all have a service life of more than ten years 10 years. Moreover, integrated maintenance timers and ongoing critical component tests are all part of the drive’s self diagnostics routine. They warn of parts reaching the end of their service life allowing replacement before failure occur. All these features increase the equipment availability providing predictive and condition-based maintenance functionality.